TORONTO, Oct. 30, 2018 /CNW/ - Corby Spirit and Wine is pleased to introduce a brand new flavour into the McGuinness liqueurs family: McGuinness® Ruby Red Grapefruit. 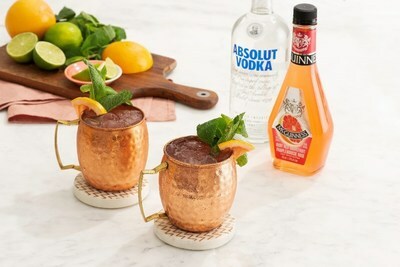 Made with quality ingredients, this product offers a fruity and refreshing twist on classic cocktails like the Grapefruit Moscow Mule and Grapefruit Collins (recipes below). Produced in Windsor, Ontario at the Hiram Walker & Sons Distillery, McGuinness® is Canada's largest mixable liqueur family offering 18 versatile flavours. The newest addition to the McGuinness® liqueur family aims to enhance consumers' cocktail-making experience with its natural grapefruit flavour. "As seen with the renewed interest in grapefruit flavoured vodkas, the growing trend in grapefruit flavour has driven consumers to search for beverage options of this kind," says Julio Ochoa, McGuinness Brand Manager. "We're excited to introduce Ruby Red Grapefruit to consumers - it's the perfect mixer to add a delicious twist to traditional cocktails." McGuinness® Ruby Red Grapefruit is available in select stores across Alberta, Ontario, and Nova Scotia. The product will be available in a 375ml format to provide a more affordable and convenient option to experiment with cocktails. Combine lime juice, McGuinness® Ruby Red Grapefruit, and vodka in a Collins glass or copper mug. Stir and add a handful of ice. Top with ginger beer, mint grapefruit wedges and serve. Shake all ingredients except the sparkling lemonade, strain into a rocks glass with ice and top with sparkling lemonade and lemon wedges. 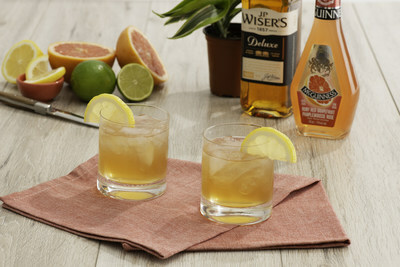 For more cocktail inspirations, visit www.mcguinnessmixables.com or follow @mcguinnessmix on Instagram.